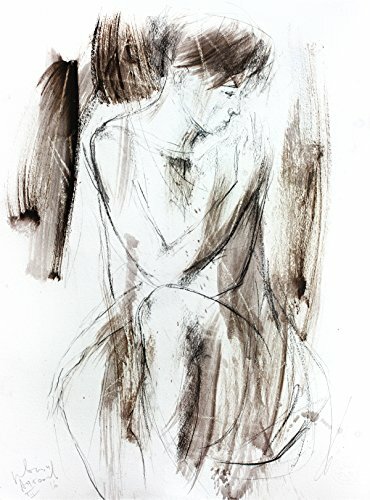 "Woman drawing" Original mixed media drawing on heavy stock cotton "Hahnemuhle" paper made by Ivan Angelov. Size: 20 x 14 inches. Frame is not included. You can easily get it framed and it would look beautiful on your wall or it could be a great gift for an art admirer. We make our art with great passion and care so we would be glad if you like it, because it's made just for you! If you have any questions about this product by IvMarART, contact us by completing and submitting the form below. If you are looking for a specif part number, please include it with your message.